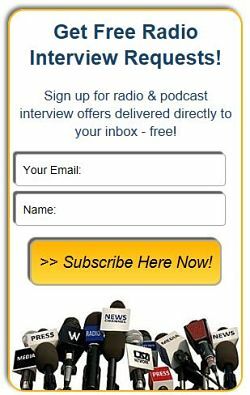 Between The Lines (BTL) seeks Business Experts - Radio Guest List.com - How to Get Radio Interviews and Find Podcast Guests! Between The Lines seeks guests who are experts at helping startups and small businesses get set up in an efficient, cost effective manner. Preferably an online but also includes a brick and mortar business for those inclined. Many authors and speakers are building a business behind their craft and need advice, tips, simple tools and resources that will keep them driven, motivated and they will see progress towards their goals. There are NO preset questions as the show is meant to be interactive, conversational and engaging. I seek to provide real life experiences to my audience who can readily implement what is shared and learned. Most of my guests are repeat guests and love to return to my show. They say it is fun, relaxed, inviting, and the host is intuitive. I have maintained relationships with all of my guests even after the show and there is the opportunity to build mutual and collaborative interests. No unsolicited requests will be accommodated. As of January 7, all bookings have been upgraded and will include a 30 mins interview PLUS syndication to 14 publishing channels AND more! ONLY requests via the above links will be accepted. Please READ and FOLLOW the instructions given. Mainly aspiring and established authors, speakers, coaches, entrepreneurs, businesses, persons who overcame adversity, relationship challenges and more. Stats garnered a few years ago revealed an average listener-ship per episode ranges from 500-15,000 depending on the topic and guest. To date we have 51,000+ listeners and 49,000+ profile views.Taken from show analytics from the Blog Talk Radio Network. Recent stats are unavailable at this time. Monthly stats will be provided on each episode for premium guests. Previously broadcasted from Jamaica for over 6 years, Between The Lines is an Internet radio show, currently broadcasting from the Sunny Paradise of Trinidad and Tobago in the Caribbean since July 2017. We can be just about anywhere at anytime!